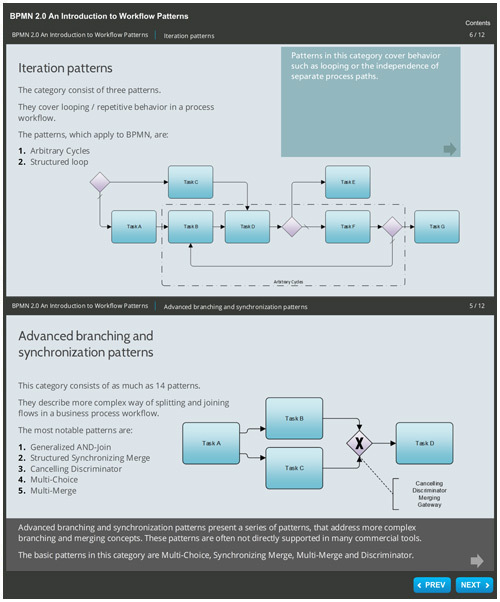 In this interactive guide we will introduce the workflow patterns, which can be applied to a wide variety of process notations. An insight into the concept is provided and main categories are identified. A further in-depth analysis of the control-flow subcategory is given. For each pattern of the selected category, an overview is provided along with a practical example in the BPMN 2.0 notation.